Inspired by Bioy Casares's fascination with the movie star Louise Brooks, The Invention of Morel has gone on to live a secret life of its own. Greatly admired by Julio Cortázar, Gabriel García Márquez, and Octavio Paz, the novella helped to usher in Latin American fiction's now famous postwar boom. As the model for Alain Resnais and Alain Robbe-Grillet's Last Year in Marienbad, it also changed the history of film. 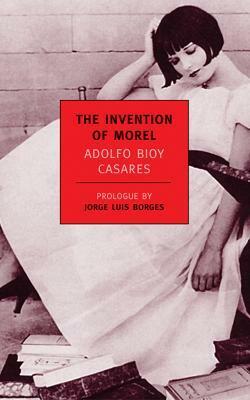 Adolfo Bioy Casares (1914-1999) was born in Buenos Aires, the child of wealthy parents. He began to write in the early thirties, and his stories appeared in the influential magazine Sur, through which he met his wife, the painter and writer Silvina Ocampo, as well Jorge Luis Borges, who was to become his mentor, friend, and collaborator. In 1940, after writing several novice works, Bioy published the novella The Invention of Morel, the first of his books to satisfy him, and the first in which he hit his characteristic note of uncanny and unexpectedly harrowing humor. Later publications include stories and novels, among them A Plan for Escape, A Dream of Heroes, and Asleep in the Sun. Bioy also collaborated with Borges on an Anthology of Fantastic Literature and a series of satirical sketches written under the pseudonym of H. Bustos Domecq. Suzanne Jill Levine is the author of numerous studies in Latin American literature and the translator of works by Adolfo Bioy Casares, Jorge Luis Borges, Guillermo Cabrera Infante, and Manuel Puig, among other distinguished writers. Levine's most recent book is Manuel Puig and the Spider Woman: His Life and Fictions. She is a professor in the Spanish Department at the University of California, Santa Barbara. Ruth L. C. Simms translated books by Adolfo Bioy Casares and Jorge Luis Borges. Jorge Luis Borges (1899--1986), a giant in Latin American letters, wrote numerous books of poetry, fiction, and essays, and was a prodigious translator of authors such as Kipling, Woolf, Faulkner, and Poe. He was a regular contributor to Victoria Ocampo's journal Sur, and a frequent dinner guest of Silvina Ocampo and Bioy Casares. Over one of their legendary conversations, the three friends came upon the idea of editing the Antología de la Literatura Fantástica, which was published in 1940.